Life is pretty darn stressful — that’s a fact. The stressors may vary — from money to work to the political climate and so on — but researchers discovered a unique way to help ease your stress. Thinking about the person closest to you — like a romantic partner — may be what you need to help decrease stress, according to a new study led by psychologists from the University of Arizona and published in the journal Psychophysiology. Specifically, they found that just thinking about your partner was as effective in lowering blood pressure from stress as actually being in the physical presence of your partner. According to Futurity, researchers asked 102 participants to complete a stressful task — submerging one foot into 3 inches of cold water ranging from 38 to 40 degrees Fahrenheit. Researchers measured participants’ blood pressure, heart rate and heart rate variability before, during and after the task. Participants — all of whom were in committed romantic relationships — were randomly assigned to three conditions during the cold water dunk: they either had their significant other sitting quietly in the room with them during the task; or they had to think about their romantic partner as a source of support during the task; or they had to think about their day during the task. Those who had their partner physically present in the room or who simply thought about their partner had a lower blood pressure response to the stress of the cold water than the participants who were told to think about their day (the control group), MindBodyGreen reports. “This suggests that one way being in a romantic relationship might support people’s health is through allowing people to better cope with stress and lower levels of cardiovascular reactivity to stress across the day,” study lead author Kyle Bourassa, a psychology doctoral student at the University of Arizona, said in a news release. 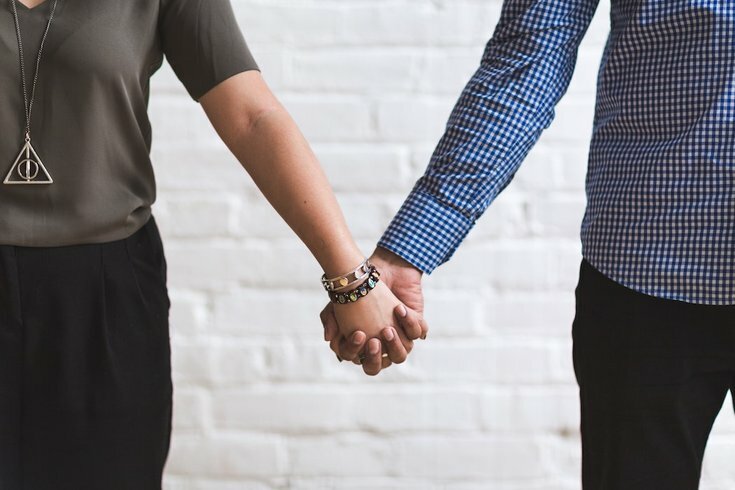 While this study points out that past research has linked both thinking about and being with your partner with reduced stress, "it appears that thinking of your partner as a source of support can be just as powerful as actually having them present," Bourassa said. Further, these findings help explain why high-quality romantic relationships are consistently associated with positive health outcomes in the scientific literature.